I’m always enthusiastic when a company gives me the opportunity with their merchandise. It’s so exciting to get something you don’t have before and now you are actually going to work on writing a review. Isn’t that making the product even more priceless? I received a confirmation email from 599fashion.com in regards to evaluating their products. I said, certainly! I choose Floral Print Layered Tunic/dress with a retail price of $29.99 and your price is only $5.99. I was really attracted on how pretty the dress is, which I do find perfect for the weather. I am always seeking for a cheap clothing website where discount is good, finally found it. Come to think that the online shopping site has so many varieties of fashionable clothing. They also carry different products like jewelry, accessories, plus sizes, shoes, beauty, and of course always have great varieties of new arrivals. They even have a great selection of their sale items, what makes it all superb is that everything is only $5.00 or less! They even got an instant coupon on the website for 5% off on your first purchase. Take a good look to dress I picked. I was very surprise to see the retail price for only $5.99. I can totally afford everything here. I’m very practical and paying a higher amount for apparel gives me so many doubts. 599fashion.com is very affordable, have very low prices compared to the store merchandise. The clothes I received from them have a high-quality fabric and I’m very impressed. The website has a lovely selection of products online. In spite of that, small things occur with the dress. 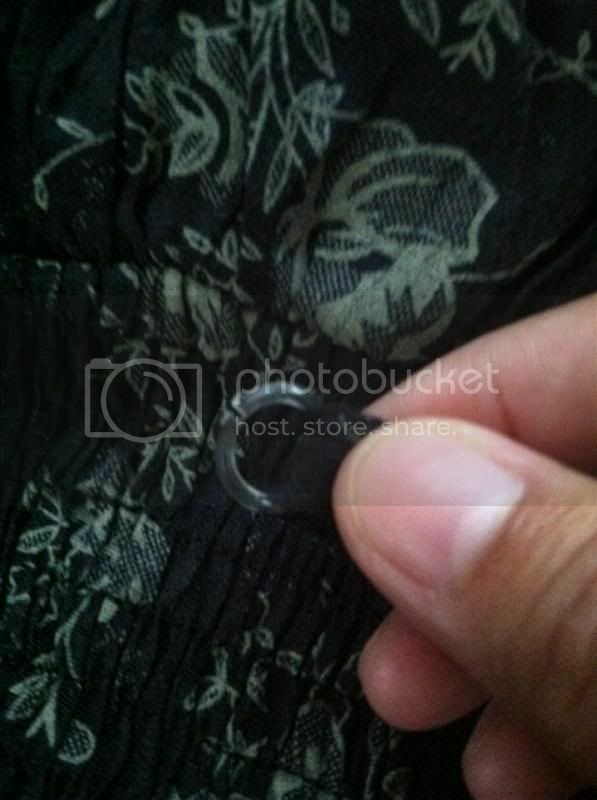 When I was about to try it on, the circular plastic that holds both fabrics snaps and broke. As I mentioned, it only needs a minor repair and so I glued it together and works great. If you like, what you see, please purchase them @ http://www.599fashion.com. They also have FREE returns and exchange. A disclaimer: This is not a sponsored post. I received the Clothes from 599fashion.com for free in exchange of my honesty review. The outlook I expressed is 100% exclusively mine. Love the layers on it! Less than $10? Wow! I guess you kind of expect some easily broken parts. Glad you were able to fix it easily. Beautiful dress though! Okay, $5.99 for clothing, I have to check them out. Even if you do have the minor thing that requires a little glue it is still a great deal! Like that dress!! Looks good on you too! I love the design of the dress. You look pretty mommy Nova. I need cheap but fashionable clothes. Thanks for sharing. I'll definitely be checking their store. that is a cute dress. glad you were able to fix the damage. A nice top with a very low price? That`s a good deal! I`ll check the site I might found some nice clothes there. They have nice selection and great prices. PS...love the design of the dress you chose Novs. Nice dress design, perfect one to wear with vest on Sundays. I like shopping at 599fashion for dresses! Yep, they are very affordable which is so perfect for a not well off soul like me! Lol. That's nice dress sis. I checked the website and I see beautiful stuffs there. Bet ko ang dress ate. Plus, it is made of a good material. :) I will check the site now and see the other items available..
From where is this from? Sorry to hear that the fastener broke..At least, you are honest about it. Nice choice of dress! It complements you. Will do check out the site too.Thanks for sharing! Wow bagsak presyo. You really got it right in time. Anyway, it fits and it's bagay. That's a very affordable dress and i'm sure you'll be busy checking the other dress in their catalgoue just in case you'll buy soon. That's a good price and you can't beat that.The dress looks good on you.